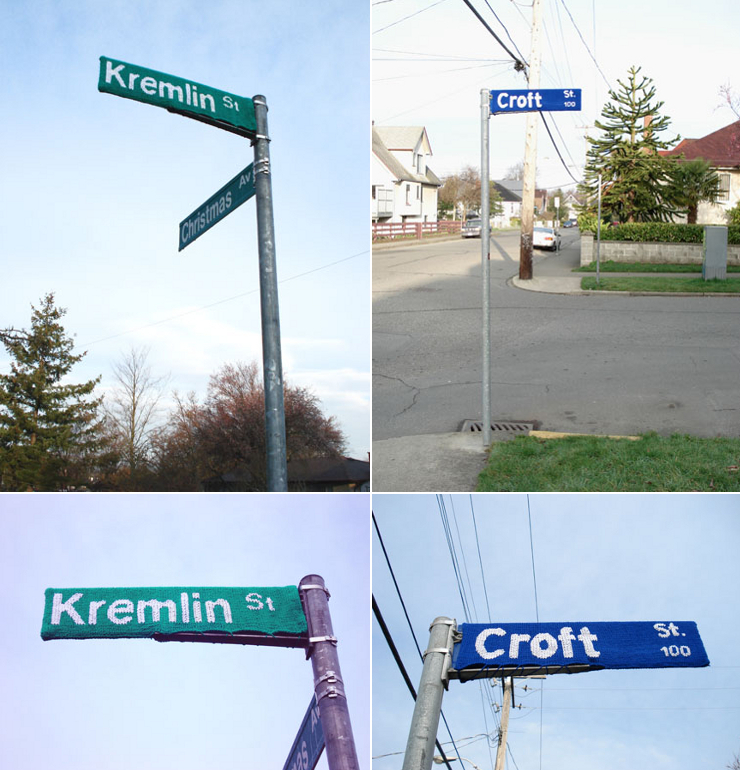 Knitta please! Move over spray cans and markers, theres a new form of graffiti in town and its showing the softer side of tagging. 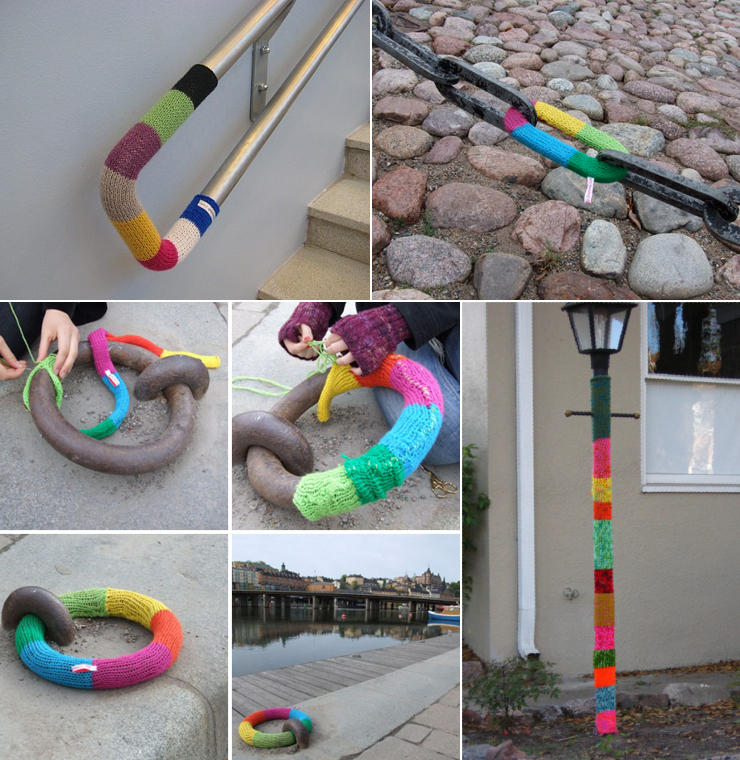 Deputy Dog posted a blog about a new trend called knitting/crocheting graffiti. 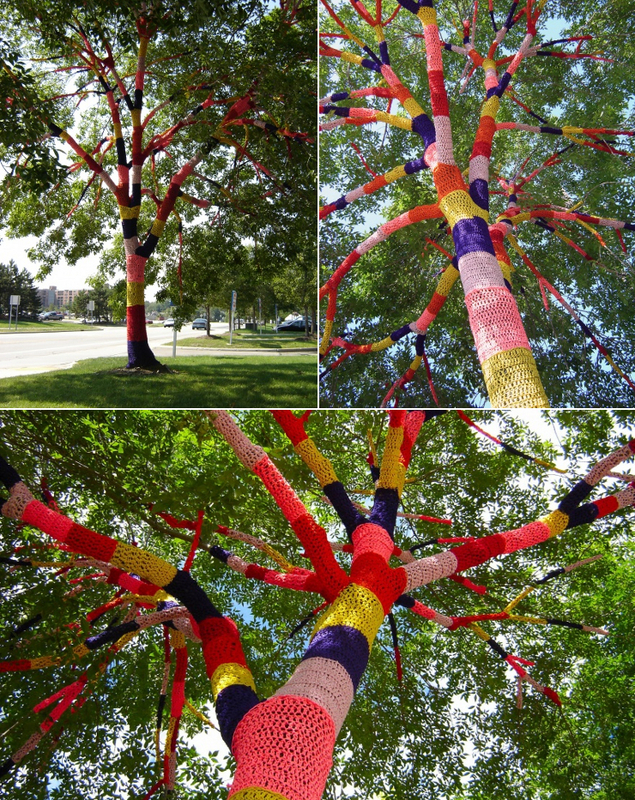 Basically crafty yarn wielders are taking to the streets with their scrap yarn and creating public works of textile art. 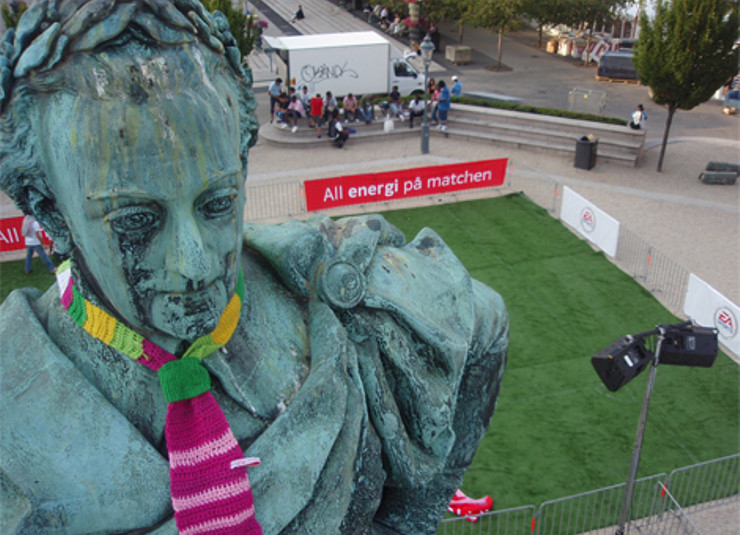 I think I know a few statues around town that could use a warm fuzzy scarf!